At Future Automation we take health and safety seriously and are committed to ensuring current safety standards are not only met but raised. All of our manufacturing processes fully comply with the latest Health and Safety regulations. Future Automation Resellers are responsible for the safe installation of our products and are required to complete both a risk assessment and method statement prior to their installation to ensure that the product is fit for purpose and that the user(s) are full aware of its operational requirements and risks involved in its use. 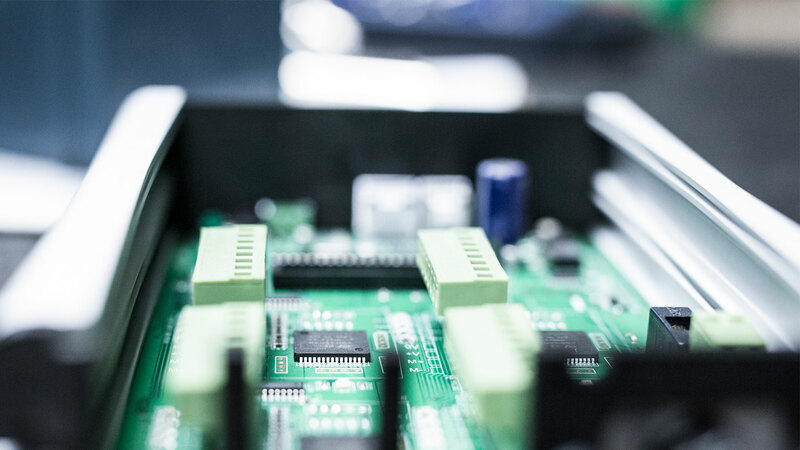 It is important that everyone who is to connect, install or use a Future Automation product has had the necessary information and access to the product instructions / user manual. Future Automation products are not intended to be used by young children or infirm persons without supervision. If there is visible damage to a product it must not be used and reported to the installer. 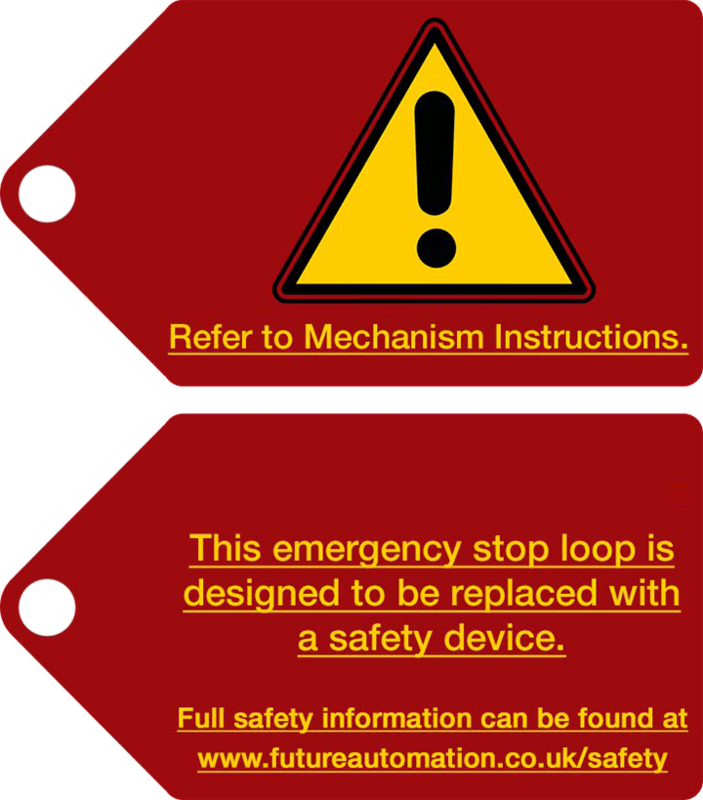 All Future Automation products (from July 2014 onwards) come with a Safety Warning Tag attached to the Emergency Stop function on the controller (see image). It is the responsibility of the installer of the mechanism to remove this and fit a safety device as appropriate to the installation environment. During the installation of a Future Automation product, it is the responsibility of the installer to commit a risk assessment of the installation environment (an assessment of each potential hazard and their possible risk and risk factor, together with the control measures and support documentation in place to minimise and control the risk). All users of the mechanism must be made aware of any potential hazards, pinch points or risks with using the system. There are a variety of safety products available that can be wired into a Future Automation mechanism that include, PIR sensors, buzzers, shock sensors, motion sensors, and cut-off switches. In addition a Future Automation product can be controlled by permanent operation of a switch (Dead man’s / vigilance switch) for additional safe operation. Additional consideration for pinch points and safe cabinet design should also be considered when installing a Future Automation product.